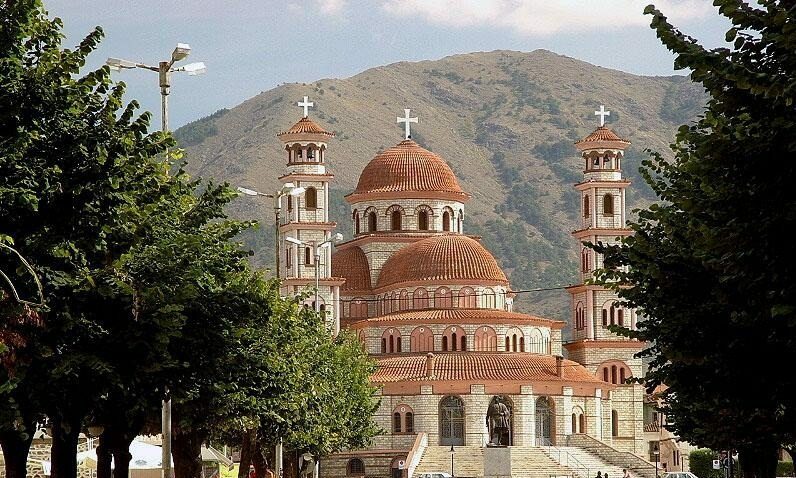 Korça is an Albanian town on the borders of Albania, Greece and Macedonia. It is known for its bazaar which unfortunately is now in a semi-abandonned situation. History books describe it as one of the most beautiful bazaars in the Balkans. In the collective memory of older Albanians it has remained the old Pazar or, more romantically, the Bazaar of the Serenades. The continental influence resulted in the construction of neoclassical villas, two famous cinemas and a tradition of photography and art appreciation. Korçë was known at one point as the “Paris of Albania”. 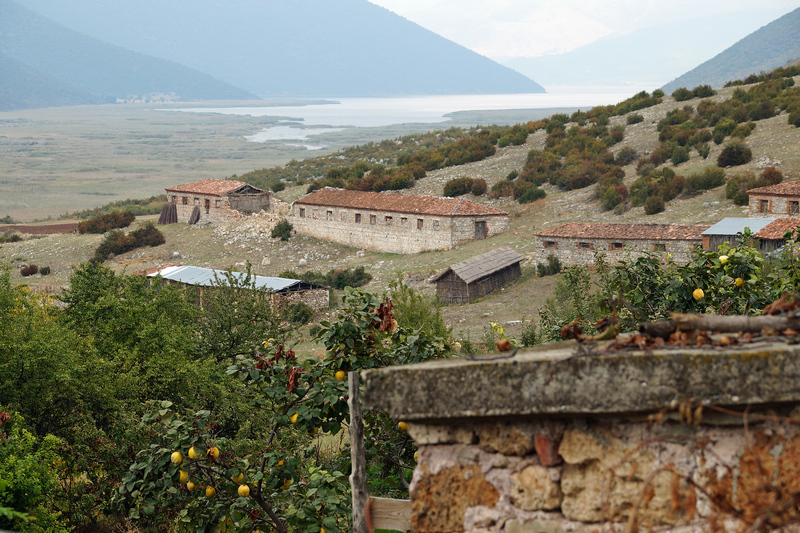 During the 20th century, Korçë gained a substantial industrial capacity in addition to its historic role as a commercial and agricultural centre. The plateau on which the city stands is highly fertile and is one of Albania’s main wheat-growing areas. Local industries include the manufacture of knitwear, rugs, textiles, flour-milling, brewing, and sugar-refining. Deposits of lignite coal are mined in the mountains nearby such as Mborje-Drenovë. The city is home to the nationally famous Birra Korça. According to official reports the city enjoys one of the lowest unemployment rates in the country. The majority of foreign investment comes from Greeks, as well as joint Albanian-Greek enterprises. 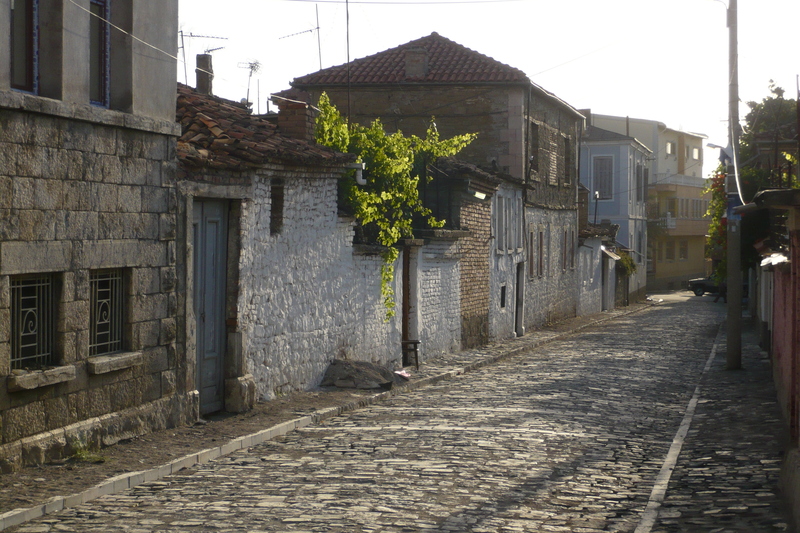 Korça is the city where the tradition of incorporating works of art finds its best. For the first time, Korca hosts national and international sculptors alike. During the years of 2008, 2009, 2010 and 2011 the Municipality of Korça has welcomed 32 sculptors for the International Park’s Sculpture Symposium, which has given our city 32 contemporary works of art in stone. The green areas of the city, especially focusing on Park “Rinia”, are where these works of modern art are visible for citizens and foreign visitors. From 6 to 16 July, 2011, the city of Korça has organized the 4th International edition “Park’s Sculpture- Korça 2011”. 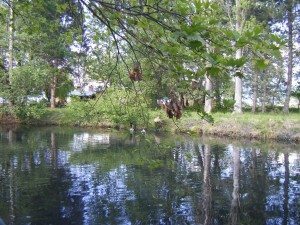 Artists from around the world— including Turkey, Rumania, Portugaly, France, Spain and New Zealand— have two weeks to complete their works in nature, in the Park “Rinia”. Sculptors participating in the projects are selected in advance by an international jury in the competition announced by Electronic City Hall. There were 80 competing projects of which only 8 were selected. 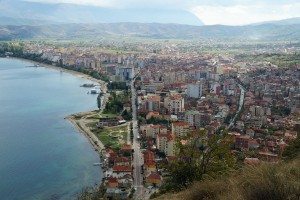 Pogradec is a city in southeastern Albania, situated on the shores of Ohrid lake. 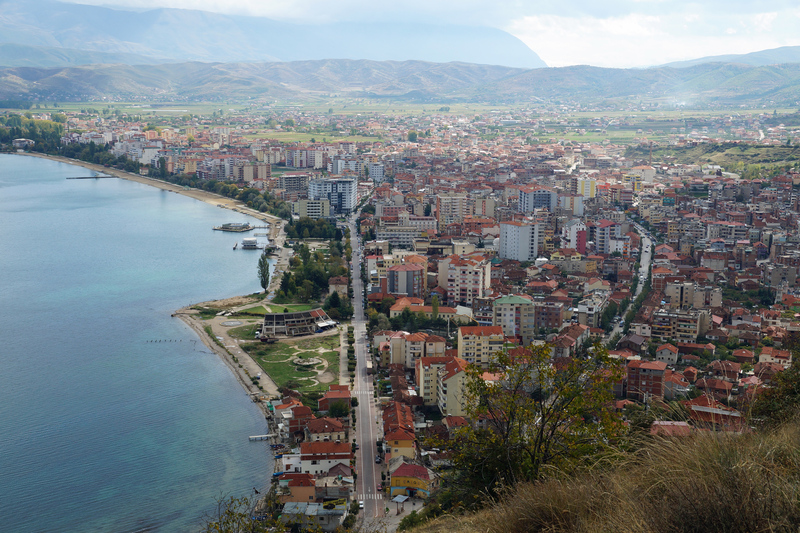 It is the capital of the District of Pogradec, in the County of Korçë, with a population of around 30,000 (2005 est). This city is surrounded by hills on the southern and western side. The lake is in the eastern and northern side of the city. The highway linking to Tirana, Elbasan and Korçë passes through the city. A town of modest pretentions, Pogradec enjoys a wonderful setting on the shore of magnificent Lake Ohrid, 40km north of Korça. Though its history goes back to the Iron Age, the town has a modern appearance. With its long sandy beach, fresh air and various sights in the surroundings, Pogradec can be visited in a day or two en route to Korça or Ohrid. 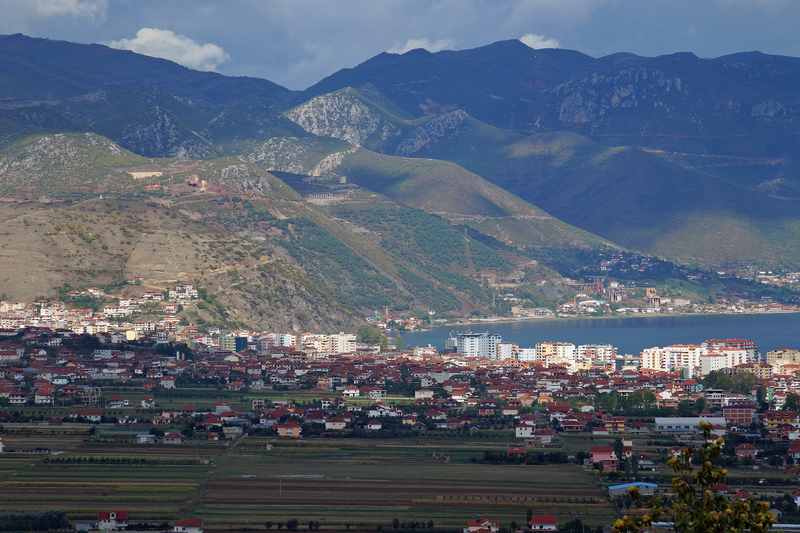 Historians believe the shores of Pogradec were inhabited as early as 6000 – 2000 BCE by Illyrian tribes, the Encheleans. These tribes were influenced by Macedonian life and throughout centuries further influenced by occupations; Roman, Bulgarian, Serbian, Albanian, Ottoman, and Western European nations. More modern historical notes of Pogradec entail the city buildng the second Albanian language school and being a favorite summer location for communist government officials, especially dictator Enver Hoxha. (Communist party members sealed their private residences from the general public.). 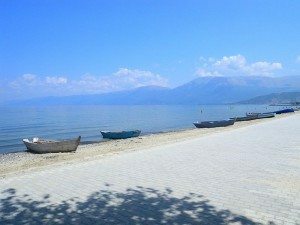 Particular tourism highlights of Pogradec are its natural settings, fresh fish, nearby village “Lini” (architectural beauty), and relaxed Albanian families strolling boardwalks, swimming, playing cards, and enjoying live music.Special Note: Lake Ohrid’s formation is due to plate tectonics. These events have created an isolated environment for fish found nowhere else on Earth. Two noteworthy species of fish in Lake Ohrid are from the trout family named Salmo Letnica (delicate tasting) and Salmo Ohridanus. Pogradec is known for it’s relaxing atmosphere. Enjoy walking boulevards, swimming, and eventful dinners with music and dancing. 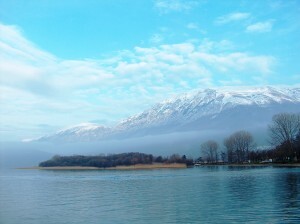 “Driloni’s Swan Park is the most peaceful place in Albania! Wooden bridges, swans, row boats, delicious foods, and clean landscapes! 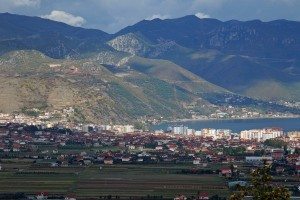 So wonderful!” The city of Pogradec and its surrounding area, as one of the Albanian beauty pearls, provides much to discover for its visitors. The region dominated by the fantastic Ohrid Lake, surrounded by fields nestled before picturesque mountains, will be your panorama throughout your holidays in Pogradec. The harmony of nature, and the friendliness of the inhabitants, will bring you back again and again.The sunny days at the beaches along the lake, the strolls along the promenade, as well as the various specialty dishes and local wine enjoyed in the restaurants will provide unforgettable moments for you. 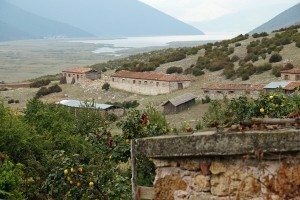 Pogradeci is one of the most charming tourist resorts in Albania because of its position near the Ohrid Lake, which distinguishes itself for clear water. 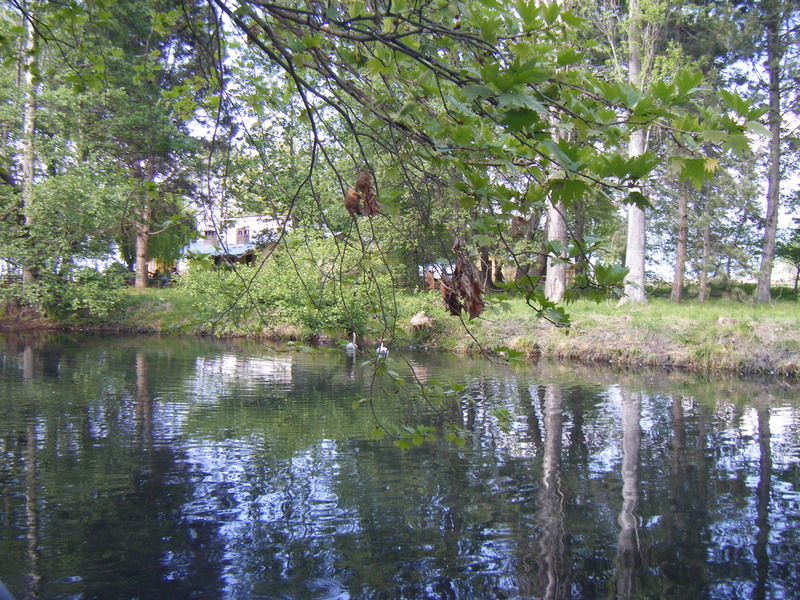 Fish Koran, which is similar to the trout, is reared in this lake. Besides the beautiful beach, your staying in Pogradec is made more interesting by the excursion to the tourist center of Drilon (5 km eastward) with crystal clear fountains that fill the beautiful channels surrounded with trees and by ornamental plants. PogradeciLake Ohrid and its surrounding area shines as a splendidly unique ecosystem. Due to its historic culture and its unique flora and fauna, in 1980, Pogradec was declared by UNESCO as a place of worldwide natural and cultural heritage. During all four seasons, this city offers opportunities to relax and have fun. This may be the reason why more and more people return again and again to Pogradec. 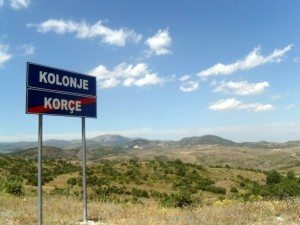 The Kolonjë District, is one of the thirty-six districts of Albania, part of Korçë County. It has a population of 14,318 (2010 estimate). The district has an area of 805 km². It is in the south-east of the country, and its capital is Ersekë. Other towns in this district include Leskovik to the south. 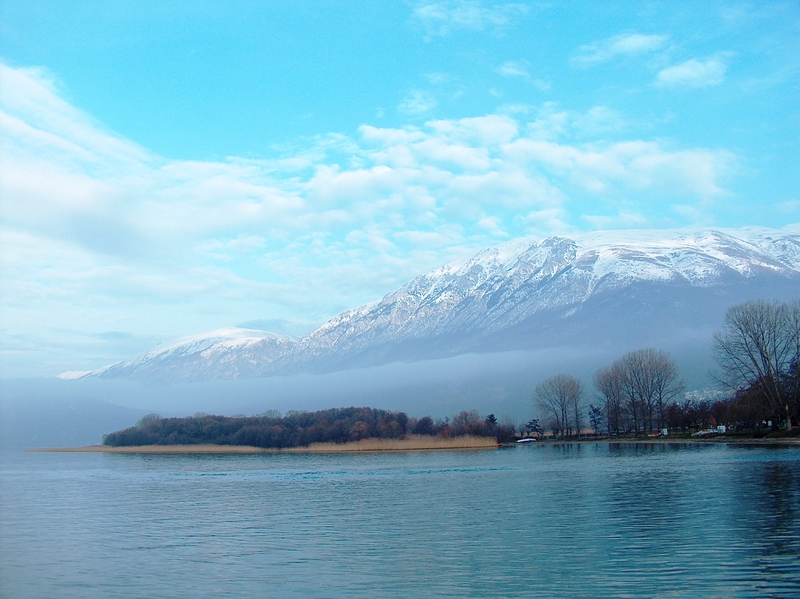 It is bounded by Korçë to the north, Greece to the east including the regional units of Kastoria and Ioannina. 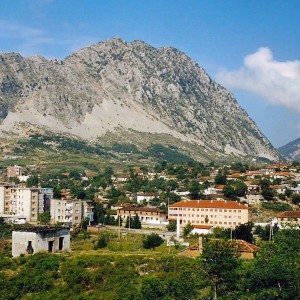 The town of Ersekë is built at the foot of mount Gramos, Albania’s fourth-highest mountain with a peak at 2525 m above sea level. 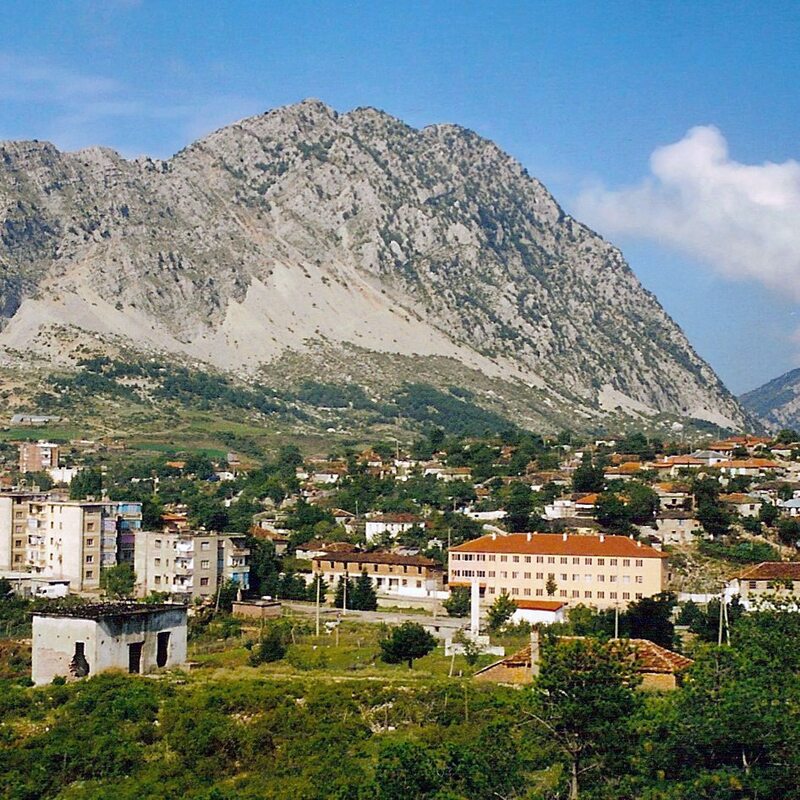 The District of Devoll is one of the thirty-six districts of Albania, part of Korçë County and derives its name from the Devoll river flowing through the valley. It has a population of 33,785, and an area of 429 km². It is in the southeastern corner of the country, and its capital is Bilisht. Its busy border point Kapshticë/Krystallopigi connects the district with the Greek regional units of Florina and Kastoria to the east and southeast. Devoll borders the district of Kolonjë to the southwest and Korçë to the west and north. The district is known in history for the Devol fortress, where the Treaty of Devol between Bohemond I of Antioch and Byzantine Emperor Alexios I Komnenos was held in 1108. What to do in Korca on a Weekend?